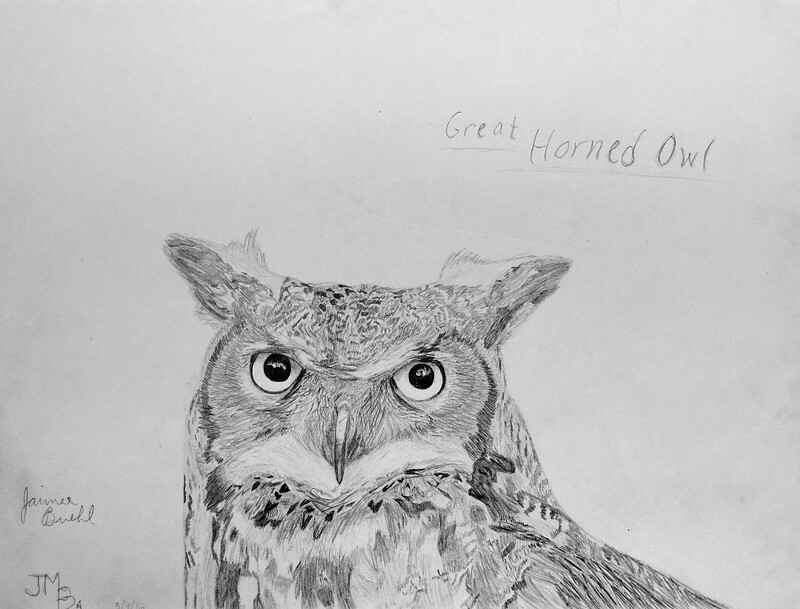 "The Great Horned is my favorite owl. Ever since I was a kid, I loved the intensity of their eyes and their eerie hoot. Drawing a Great Horned Owl was a blast! I enjoyed the detail and shading."